Ex-Formula 1 driver turned pundit Paul Di Resta has warned Pierre Gasly about Dr Helmut Marko’s “ruthless” streak. 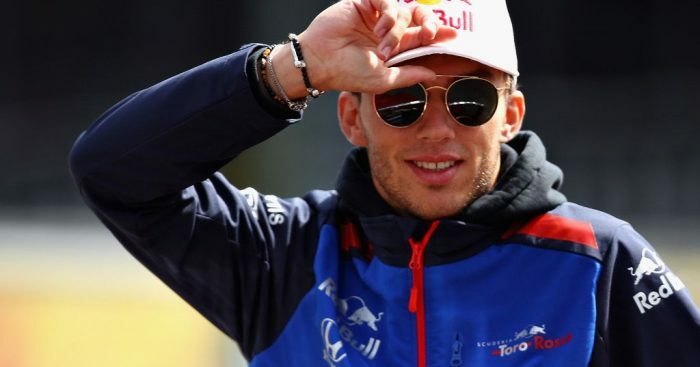 Gasly is preparing to make the jump from Toro Rosso to Red Bull next season as Daniel Ricciardo’s replacement, but will be up against a very tough benchmark in Max Verstappen. Daniil Kvyat, who has forced his way back into a Formula 1 seat, was demoted from Red Bull before being axed altogether from the Red Bull programme. Gasly will be hoping he avoids that same fate when he joins the senior team. “If Marko chooses someone, he will take it seriously,” Di Resta said via Motorsport. “But in front of every rider he gets promoted, there is also a driver he drops, he is pretty ruthless. Martin Brundle concurred with Di Resta, saying that some drivers are not given enough time to impress. “With [Sebastian] Vettel, [Daniel] Ricciardo and [Max] Verstappen, you cannot say that he really did anything wrong,” Brundle added.